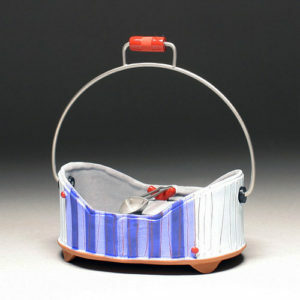 Liz Zlot Summerfield creates small functional ceramic pieces that can be used in your daily life. She often thinks about why we collect items and how do we use or not use them. You can find her work in magazines and in art collections around the country.